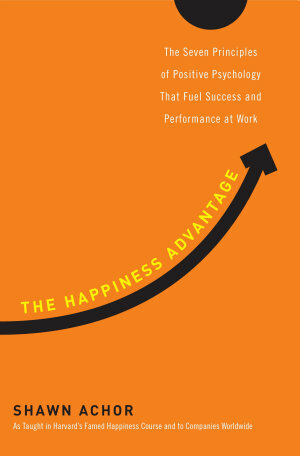 After my recent article on Happiness was published, I was asked for more thoughts on Happiness Advantage. This book was part of my year long literature review of positive psychology research, which started for personal reasons, then crossed over into my professional work. In the last 50 years, the mean onset age of depression dropped from 29.5 to 14.5 years old. Depression rates today are ten times higher than they were in 1960. A 2010 Conference Board survey found only 45% of workers surveyed were happy at their job, the lowest in 22 years of polling. What can we do to change this phenomena? A dear friend, one of Savvy’s first business partners, recently underwent unexpected triple bypass surgery. 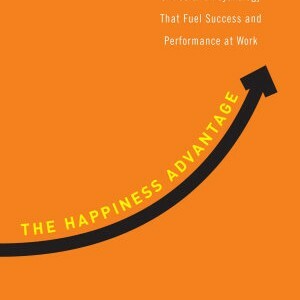 I sent him The Happiness Advantage thinking it would be a good recovery read. Achor talks about how explanatory style – how we choose to explain the nature of past events – has a crucial impact on our happiness and future success and even on how well people recover after coronary bypass surgery. I am inspired by how my friend describes the chain of events leading to his current situation and his positive outlook; I am thankful this will serve his healing well. What we spend our time and mental energy focusing on will indeed become our reality. The power of mindset shapes reality. Hence, Carol Dweck’s entire book by this title. Dr. Marcel Kinsbourne, a neuroscientist at the New School for Social Research in NYC, explains that our expectations create brain patterns that can be just as real as those created by events in the real world. Achor also shares the impact of the placebo effect. Placebos are 55-60% as effective as most active medications like aspirin and codeine for controlling pain. The simple change in mindset – a belief that they are taking an actual drug – is powerful enough to make the symptom go away. Our “visualization” exercises in Savvy’s coaching take advantage of how the brain operates to create our future realities. Our belief in another person’s potential brings that potential to life. Achor cites research that shows when teachers were told 3 students were exceptional, that just this belief led them to unwittingly and nonverbally communicate their belief in the students’ potential. At the end of the year, all students were tested and the 3 students posted off the chart intellectual ability. In reality, at the start, they were just the same as the others in their class! Think about if we had this belief in our employees or children, what potential we could help create. The greatest predictor of success and happiness. Relationship with your boss or what Daniel Goleman termed a “vertical couple” is the most important social bond you can create at work. Open workspaces have become more widespread as they support the swapping of stories and building collaboration with colleagues. Like stock portfolios, social support networks grow stronger the longer they are held. Relationships, a critical part part of happiness, take hard work, built over time. The most worthwhile investment. This morning, I had breakfast with a dear friend in town from the west coast, as she was in town to say goodbye to her east coast team, employees of the company she had founded. 12 years ago, she became a client. We worked with her for many years through her exit, and while the work was rewarding, her friendship through the years is what is most precious. Barbara Fredrickson’s Love 2.0 emphasizes micro moments, small bursts of positivity. Sprinkled throughout the day, and performed habitually over time, has been shown to help permanently raise our happiness baseline. What money has not been found to do. While it takes practice, meditation, practiced regularly, has been proven to be one of the most powerful happiness interventions. Our coaching practice focuses on strengths (click to take survey for free). Remind yourself of the relevant skills you have, rather than those you lack. Since our brains only retain one in every 100 pieces of information we receive, we tend to miss what we’re not looking for. Success is almost entirely predicated on your ability to spot and then capitalize on opportunities in front of you. 69% of students report that their career decisions depended on chance encounters. It can also save your life. My friend who went in recently for the unexpected triple bypass surgery said that a chance conversation at the ice hockey rink with another player who had had similar symptoms led him to go and check his situation out. He was on the operating table hours later. He said that if he had not had that chance conversation, he would not be here to share his story with me today.